Dear Stella recently came out with a new line of fabric called Confetti Sparkle, cotton in bold colors with metallic gold dots. When I saw it I swooned! 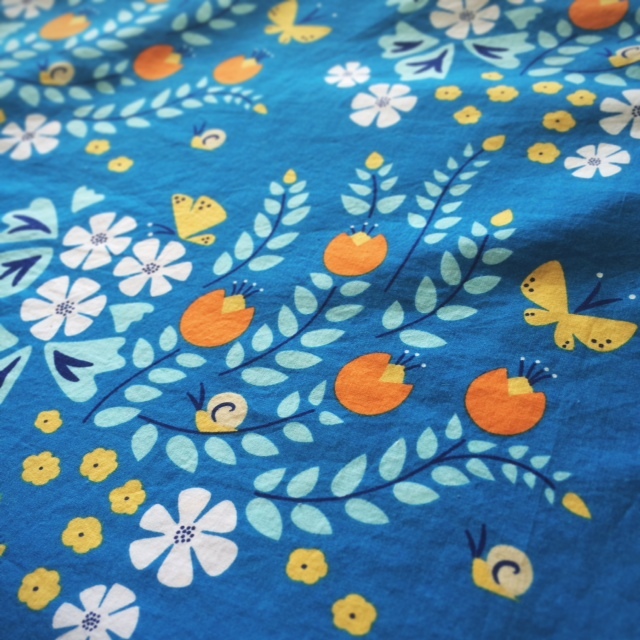 And when Dear Stella contacted me asking if I wanted some of their gorgeous fabric to sew with, I may have jumped for joy! Um, yes please! I chose two of their Confetti Sparkle fabrics, Navy and Cream and immediately started dreaming up the holiday outfits I wanted to make. 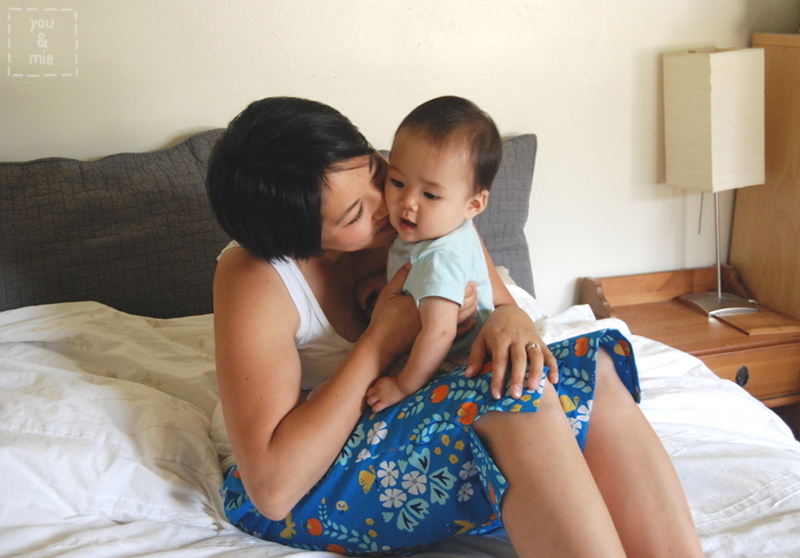 First up is this dress I made for Yuki that I’m sharing today on the Dear Stella blog. I love that this fabric has automatic glam without having to use a tricky to sew fabric or something that I can’t just throw in the wash. And with the variety of color choices, you’re not just limited to the upcoming holidays – it can be used for any special occasion, any time of the year! So head over to the Dear Stella blog for more pictures and details of this dress and then next week I’ll be sharing the dress I made for Kaya and top that I made for ME! Confetti Sparkle all the things! Dear Stella Confetti Sparkle can be purchased at Drygoods Design, fabric.com or Hawthorne Fabrics. Are you making any special holiday wear this year? Hiya! 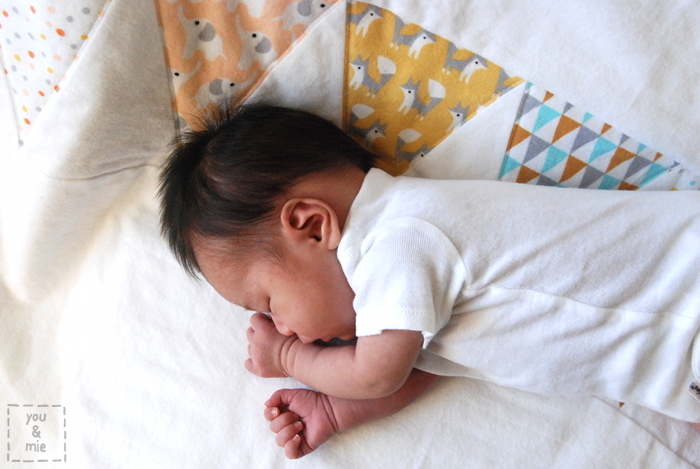 Thanks so much for all your sweet comments about Kaya’s arrival! I really appreciate all your warm wishes and your support – it’s good to know that so many people also struggle with the transition to 2 kids and that it does get better! Things are already feeling like they are falling into place more and more each day. 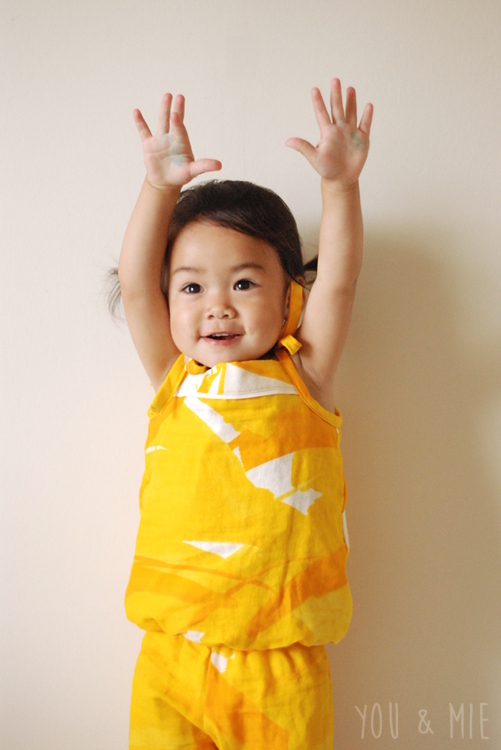 I just made my first real sewing project for Kaya and I’m soooo excited to share it with you! 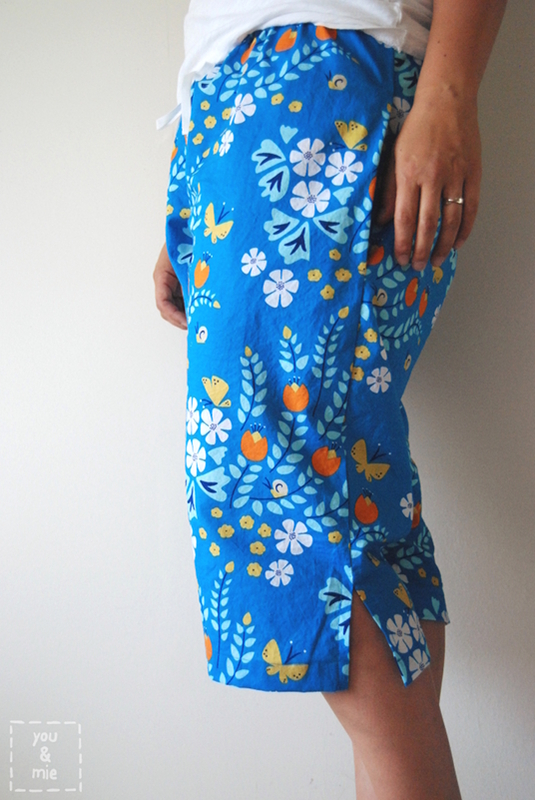 Rae Hoekstra, of Made by Rae, recently released a new line of fabric called Fanfare, and I was lucky enough to get my hands on some a little early. THIS STUFF IS AWESOME. I know that when bloggers do reviews, it always sounds like gushing, but trust me when I say that this fabric is really amazing. 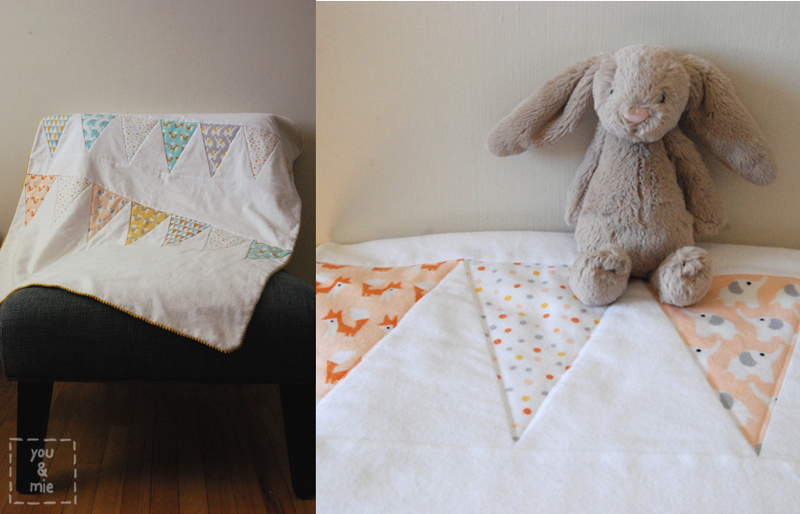 It’s adorable, suuuuuper soft and cozy, and wonderful to sew. 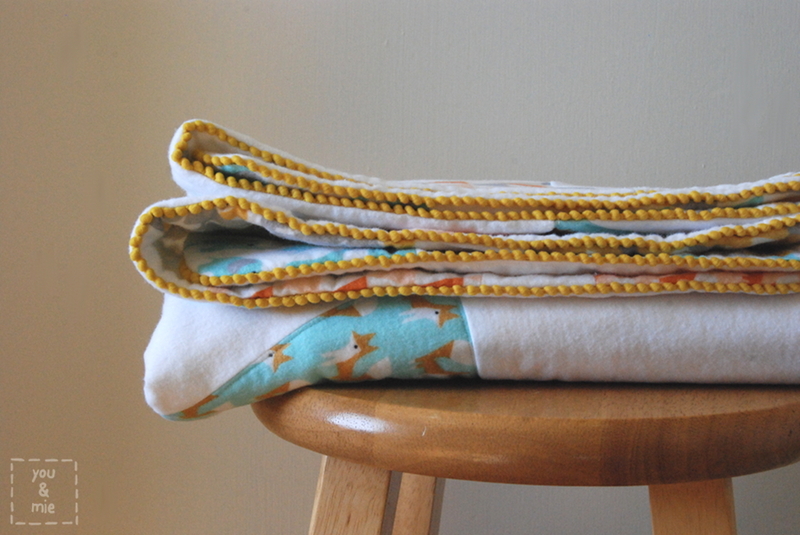 The fabric is brought to us by Cloud 9 Fabrics which is known to be of great quality AND it’s organic! 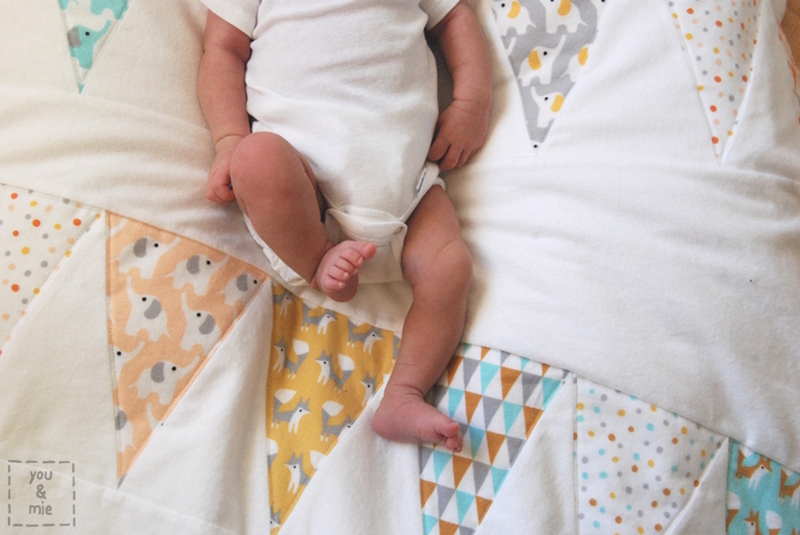 It makes me so happy to know that I’m wrapping up my little ones in organic fabric, especially since this fabric is so wonderful to snuggle. After seeing the prints, I thought it’d be perfect for a project for my little newborn. 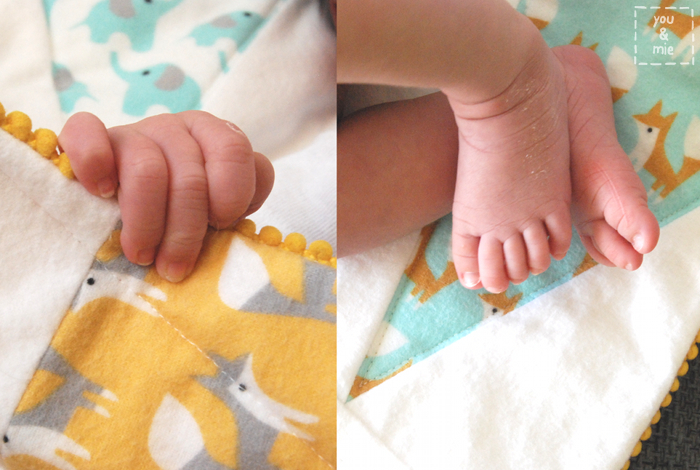 I wanted to make a baby blanket, to take full advantage of just how soft and cozy this fabric is. 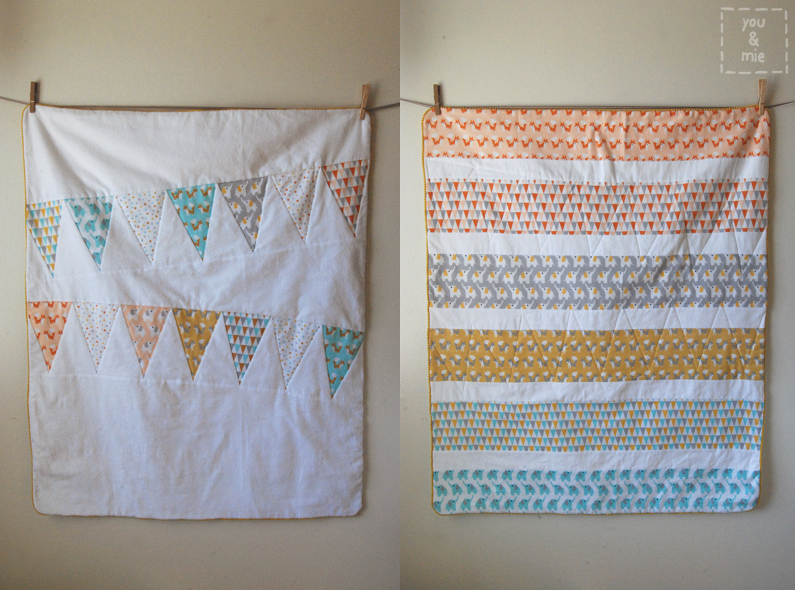 I was inspired by the triangle bunting print and decided to piece the fabric together to create a “string” of bunting. I used the solid white flannel as the background. 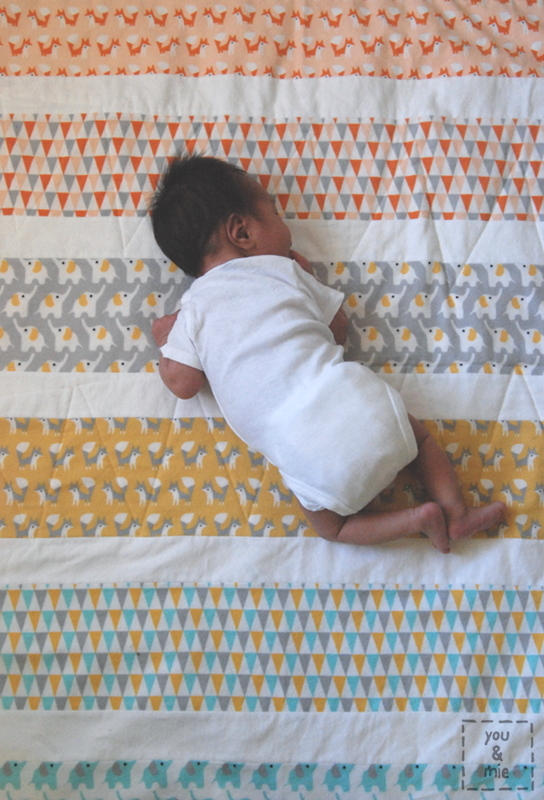 The back of the blanket is made of strips of fabric. I just love these prints so much, I wanted to showcase them as much as possible. 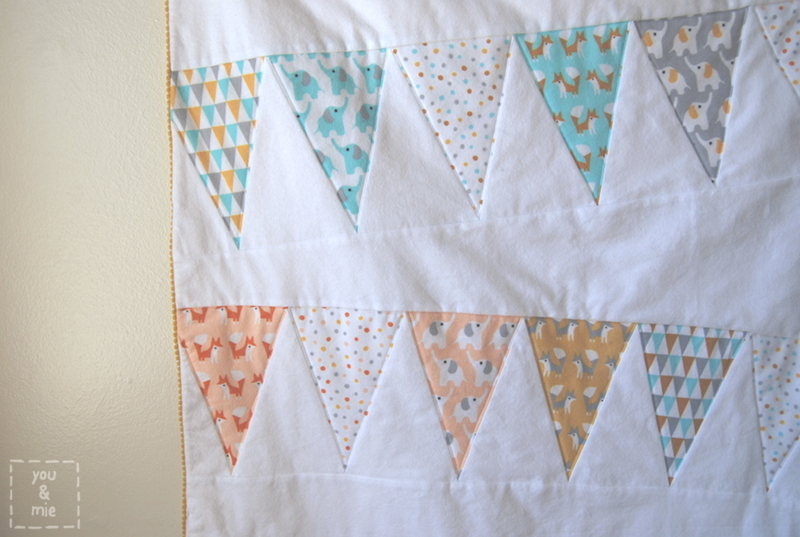 After piecing together the front and back of the blanket, I basted the mini pom pom trim to one of the layers. I put the front and back right sides together and then added a layer of cotton batting and sewed the layers together leaving and opening to turn the blanket right side out. I sewed the opening shut and then sewed along the inside of each of the triangles to hold all the layers in place. I really can’t even tell you how soft this fabric is. The best part is that it gets even more heavenly after you wash it. 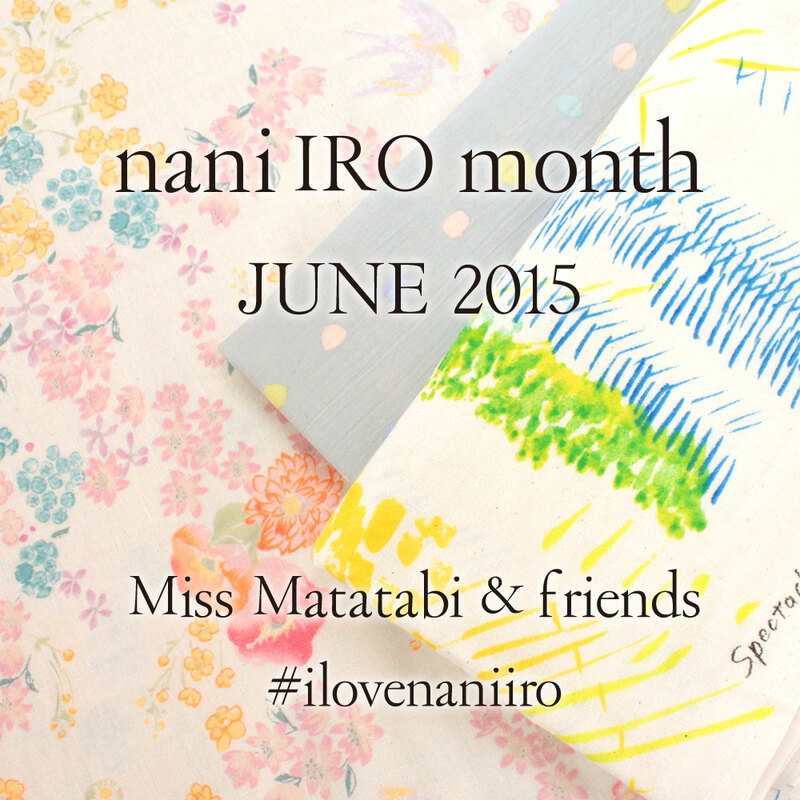 You guys have got to get your hands on some of this fabric . . .
Oh, little baby fingers and toes! 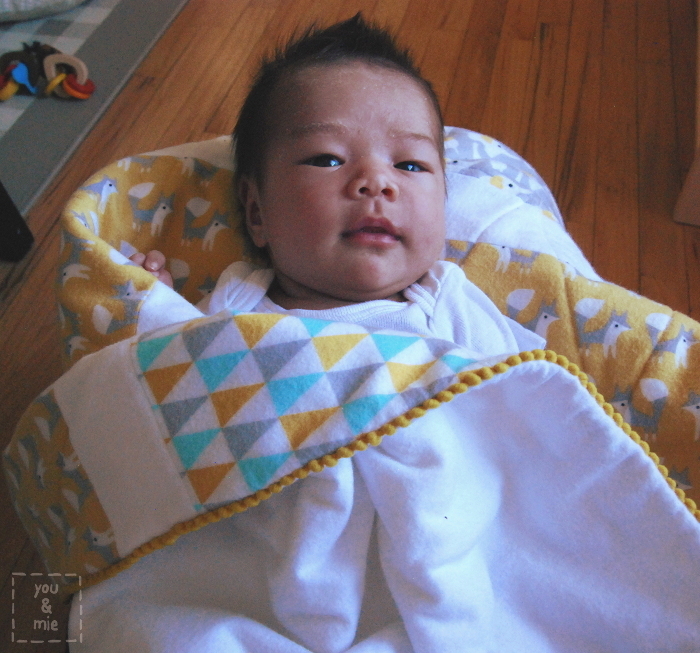 And how Kaya loved this cozy blanket! 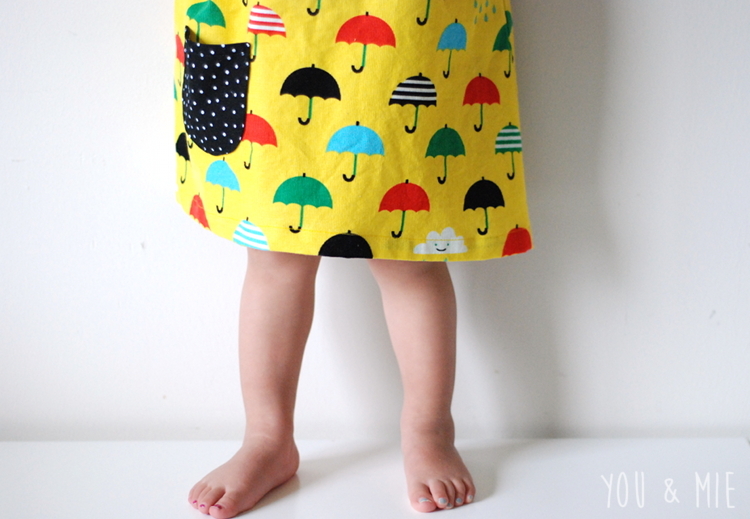 This fabric is perfect for little ones, but honestly, I’d wrap myself up in this fabric if I had enough!! Since I planned on making a small pieced blanket for Kaya, I had only gotten about a 1/4 yard of each print, but Yuki found the fabrics and immediately wanted them for herself. 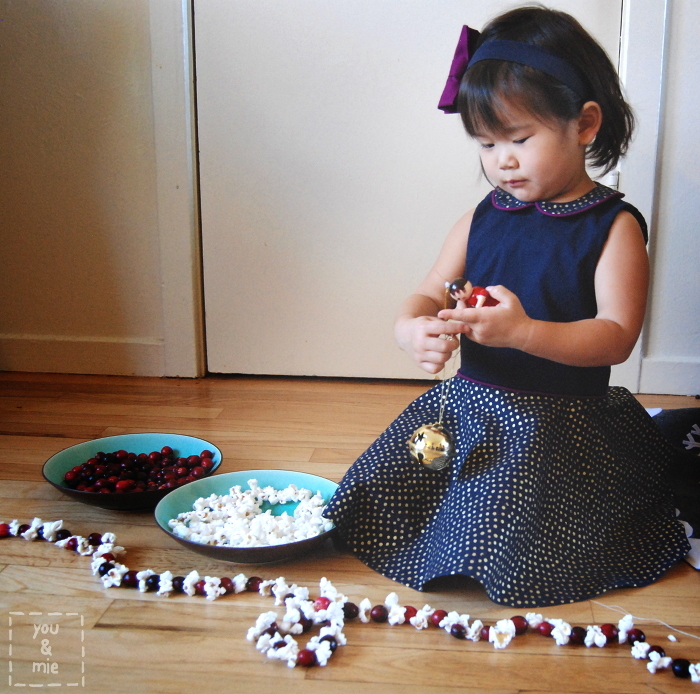 She was really drawn to the pink elephant print and begged me to make her something with it, but after explaining that the little strip of fabric was not big enough to cover any part of her body, she settled for snagging every little scrap that I cut and keeping them for herself. 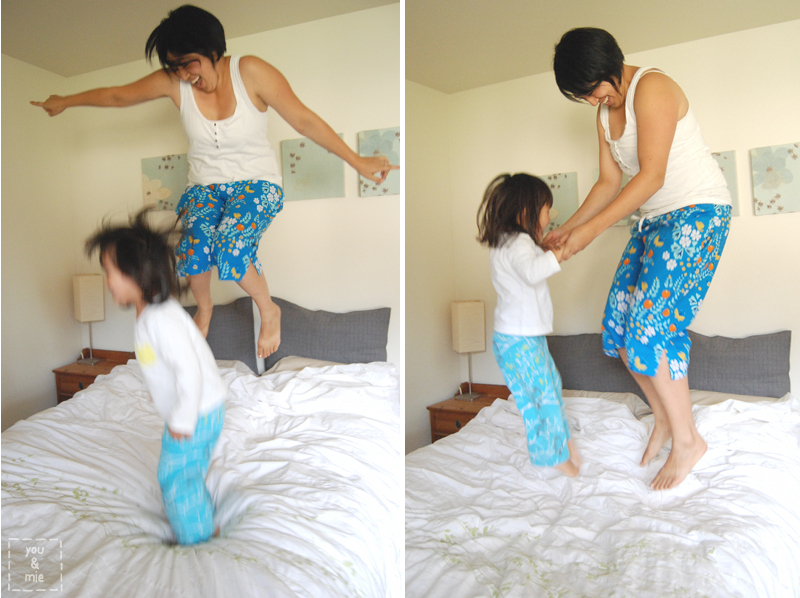 She started taping the scraps of fabric up around the house and made a pile with the rest – it was really hilarious! So of course, I went and ordered more fabric and as soon as I get it I’ll be making something for her as well. Only seems fair . . . 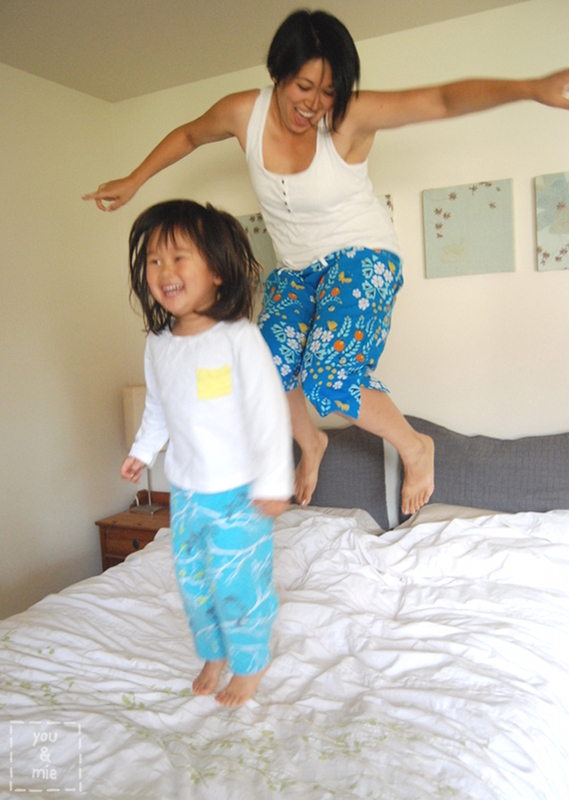 If you’re wondering where you can buy the fabric, Rae has made a list here. 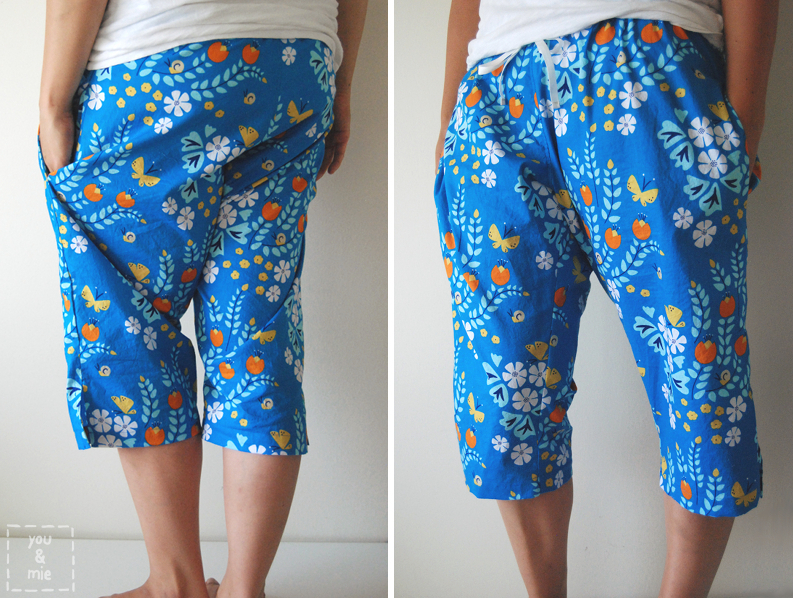 Also be sure to check out all the other fun projects that people have been making with this awesome fabric. There is also a Fanfare Fan Flair flickr group, so if you’re looking for more inspiration or you want to add your own Fanfare projects, definitely go check it out! 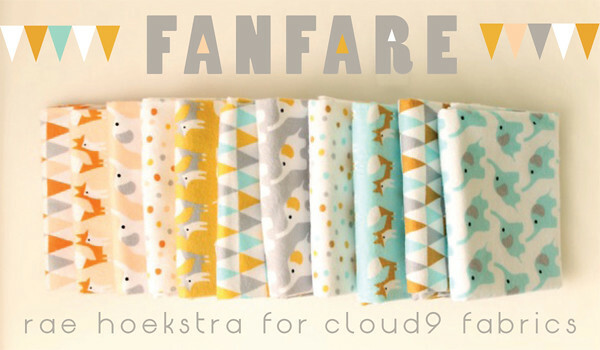 Thank you so much to Rae and Cloud 9 for the amazing fabric and letting me be a part of the Fanfare Blog Tour! And congrats on a truly wonderful line of fabric! One of the things I love about Rae is that she is a perfectionist. 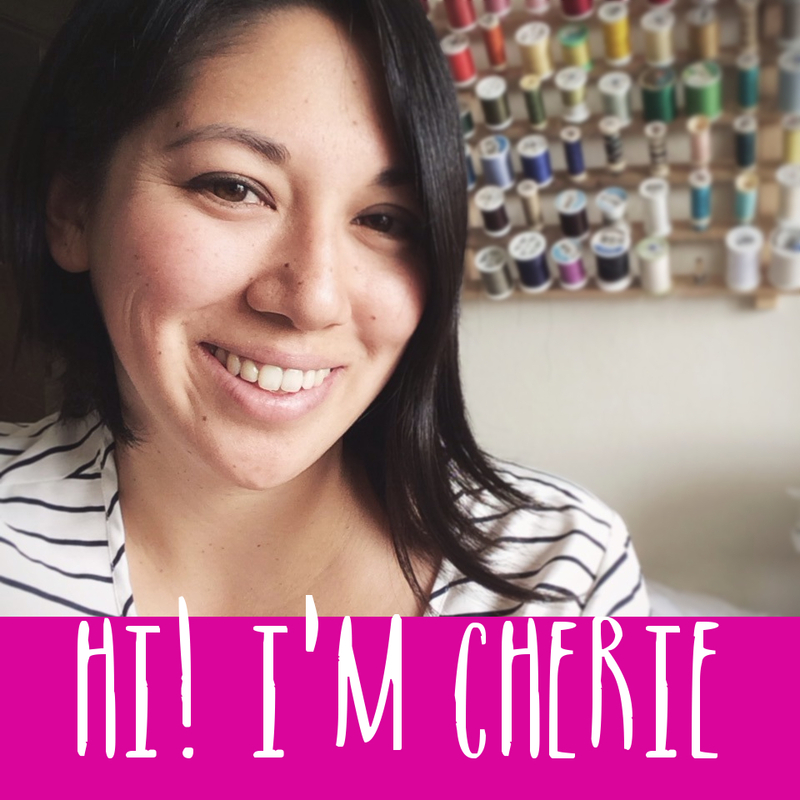 She really really cares about putting out high quality products – I’ve seen it with her patterns and now with her fabric, she puts a lot of work into getting things JUST RIGHT. 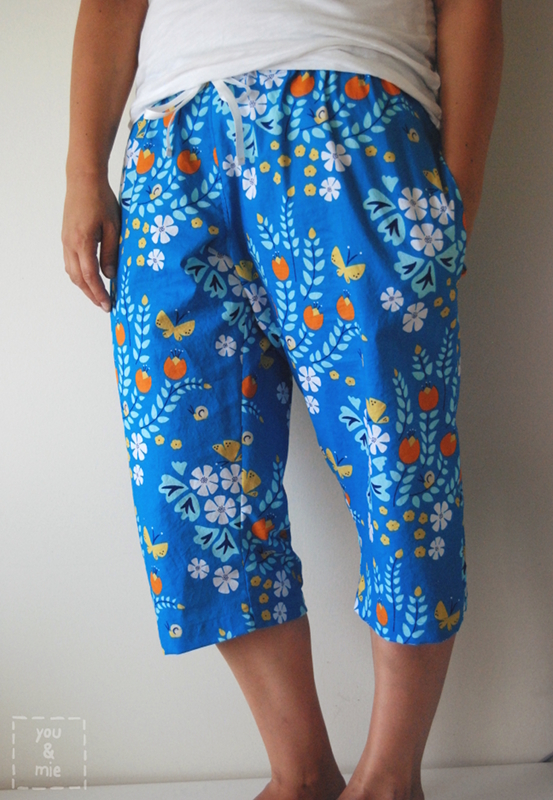 And she’s done it again with Fanfare – this fabric will not disappoint you!